Our interview with Dave Hemming, British cyclist and the first British rider ever to win a UCI mountain bike championship downhill medal back in 1990 in Dorango Colorado. That was the first Inaugurated Mountain Bike World Championships. He was a 17 year old kid picking up a silver medal in the junior category. OSMTB: Would you like to write a short introduction, telling us who you are and what you do? Dave Hemming: Ho My name is Dave Hemming, bike geek and industry dude these days. In 1989 I did my first ever bike race and from then on I knew I wanted to be a bike racer and involved in Bikes for the rest of my days. OSMTB: How did you first get interested in bikes? Dave Hemming: 1970’s my man! When BMX hit I did that as did everybody else, I never raced but I went to my local tracks and starting to scare myself with the big jumps. In many ways I am still scaring myself in my 40’s now, still these days there is a lot more calculated risk involved. OSMTB: What was the first bike you owned? Dave Hemming: Well it would have been my Raleigh Boxer, I raced that thing everywhere. OSMTB: What’s your favourite thing about cycling? Dave Hemming: The freedom, back when we started we had so much freedom to explore and get away from it all. Now it is more apparent that the freedom is front and center as day to day life keeps us always engaged. I have always loved going uphill no matter how far because the reward is always there in the downhill, however nothing floats my boat more than shredding a flowing piece of single track. OSMTB: Tell us more about riding for team MBUK…. Dave Hemming: 1990 myself and Sally Hibbard formed the first ever MBUK team, she rode a Zinn and I rode a Chas Roberts, both custom made for us. These days that is left to the end consumer to get cool custom bikes, we set out to the national series racing cross country for Sally and for me as I was fresh with a UCI medal in downhill I would race Downhill , cross country, trails and Dual slalom all this on a hard tail. Back then suspension was still very new and I worked with Adrian Carter of Pace on their first ever suspension fork . . .testing times indeed! OSMTB: JMC was and still is a hero to many of us, tell us a little about him…. Dave Hemming: Mine too. He came onto the scene with flare or panache as they call it these days. A true innovator to the sport. His drive to win was amazing and he could make some of the most mental moves on a bike stick. To top it off he was an amazing guy to hang out with, real salt of the earth. Its amazing when you hang out with people week in week out at the races and traveling it makes being a racer feel less alone. I sure miss him still to this day. OSMTB: Looking at videos like Dirt the early UK scene seemed to be a lot less serious than the European and American take on it, is that true? Dave Hemming: Not at all, it was still a job. I took it very seriously and if I had the chance to do it again I would be even more serious about it. I think that era was the real progressive part of the sport, learning everyday how to make the bikes go quicker. In fact its still how people work today. The big issue with today is the commercial side puts so much pressure on riders to perform. We had to do the same but on really tight budgets and salaries. OSMTB: What was your greatest moment when you were racing? Dave Hemming: It was a long time ago now and I guess I will have always done this, to be the first rider to win an Official UCI mountain Bike World Championship medal in Downhill is still a big moment in UK MTB history and for me. OSMTB: Do you still get to hang out with anyone from BITD? Dave Hemming: Yeah, many of us working the industry now so we hang out at the shows and we go shred still. We are the old guys now on the really expensive bikes and all the gear, haha. I rode just last Thursday evening with a few of them at Swinley In Berkshire. The Facebook page that Shane Lawton and I put up at the end of the year “Golden era of Mountain biking 80’and 90’s” has really brought a lot of people back together. OSMTB: Do you think purple ano should come back? Dave Hemming: When did it die??? Always embrace a bit of color I say. I am currently on a new Fat Chance Yo Eddy in Lavender color. OSMTB: Do you think mountain bikes succumbed to the trend of more is better, more travel, full sus and does the average rider need it? Dave Hemming: I say ride what works for you. I ride a mix of platforms depending on the riding. Just now and then I ride my hardtail in technical downhills just to show the youngsters a trick or two. Really though you rid the bike for the terrain you live in, every way and being pure is cool also. OSMTB: Is your garage fulled with retro goodness, or are you a one bike man? 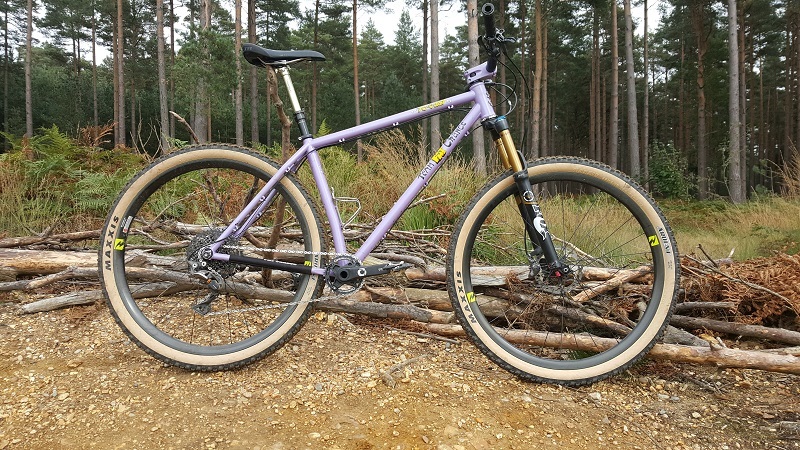 OSMTB: Do you have a favourite bike? One you choose to ride over all the others? Dave Hemming: The Klien Attitude and Fat Chance “Yo Eddy” are my two favorite bikes from back in the day. These days I have a a 27.5 Trance advanced Pro I like ripping on the trails as well. OSMTB: Do you have a favourite mountain bike to date? OSMTB: And the best bike paintjob? Dave Hemming: Ohhhh I have two the Klein Attitude Green, White and Magenta (Not pink) and my own team bikes from 1994 on Fat chance that were green one side and Blue the other, very unique and folks still talk about them today. OSMTB: Has the friendliness of mountain bikers you meet out there on the trail these days changed or is it us getting old and cynical? Dave Hemming: Nobody can be old and cynical around me, I am old! I am full of beans and want to have a great laugh the whole time. I don’t let folk get away with muted grunts, they have to talk when I run into them on the trail. I want to know if we have missed anything. OSMTB: How often do you get to ride? Where? And what? 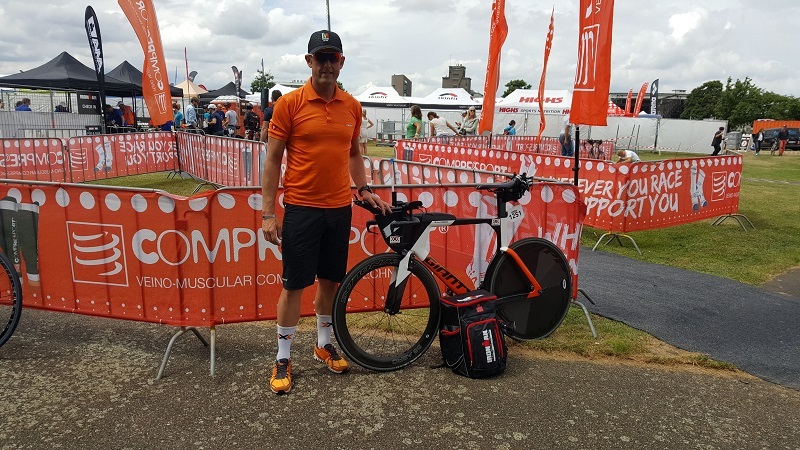 Dave Hemming: At least three times a week, of late and don’t hang me I have been doing Ironman so that has had me doing 25 hours a week. Plus I ride a lot of big sportifs as well. My mountain bike is now back under me and I hit Swinley a lot, Bike park Wales and my job gets me riding when I am doing orders around the UK. OSMTB: Where is the best place in the world you’ve ridden? And why? Dave Hemming: So I lived in the states for 8 years up to the end of 2012 and in the state of Oregon you will ride yourself into places that just blow your mind, the views, the remote locations and the trails, agh man the trails that take you on this rides are epic. 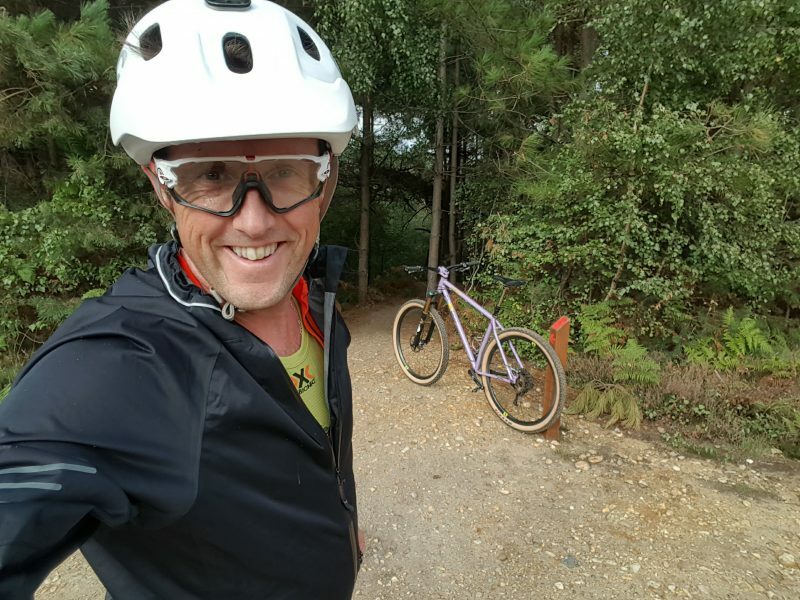 Dave Hemming: Well I raced the X-Bionic Experience Cup a 80km marathon mountain bike race in the dolomites and that was the single hardest day on a bike for me. So much climbing and so step for so long but again the reward of 17km of downhill was so worth it. OSMTB: Anything else about yourself or the company you work for you would like to add? Dave Hemming: So I run X-Bionic clothing from Italy here in the UK. Every mountain biker should be using our Effektor products to get rid of arm pump! Base layers rock and our endure shorts are sick. If you see me out on the trail say hello, because I sure will.